On Saturday 6th April at 7.30pm, Vox Humana (a chamber choir from Jersey under the direction of Stephen Kemp) will give a concert at St Stephen's Church. Proceeds from the concert will go towards the restoration of the church's William Morris stained glass windows. All are welcome! On the Fifth Sunday of Lent, St Stephen's will celebrate: a Said Mass with Family Ministry (9.30am) a Sung Mass (11.00am). Vox Humana, a chamber choir from Jersey conducted by Stephen Kemp, will augment the St Stephen's Choir at the Sung Mass. All are welcome. On Palm Sunday, St Stephen's will celebrate: a Said Mass with Family Ministry (9.30am) a Sung Mass (11.00am). All are welcome. 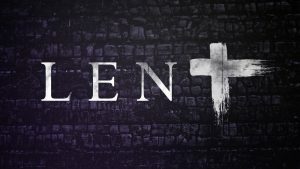 St Stephen's will celebrate a Said Mass on Holy Monday (15th April) at 7.00pm. St Stephen's will celebrate a Said Mass on Holy Tuesday (16th April) at 11.00am. St Stephen's will celebrate a Said Mass on Holy Wednesday (17th April) at 7.00pm. St Stephen's will celebrate a Said Mass on Holy Thursday (18th April) at 7.00pm, followed by a Watch. 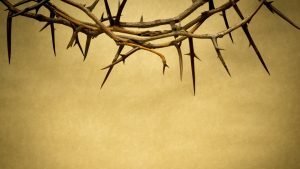 On Good Friday, St Stephen's will offer: a reading of the Passion Narrative and the singing of the Reproaches at 10.00am meditations at the Stations of the Cross at 2.00pm.